Lack of home ownership in New York City has been skyrocketed - more than 75% of residents rent rather than own. In response to this increasing, a 'Instant City' is proposing new affordable housing design combined with public programs in order to not only provide sufficient living spaces but also foster community-based activities by reconsidering air-right of the city that has been overlooked for a long time. A 'Instant City' celebrates multi-dimensional interaction between habitants and city structure while maintaining habitants' daily activities within the condition of new urban life. Collecting of Air-Right brings opportunities to maximize capacity to contain affordable housing units within the limited spaces, but also it gives another level of community composition which is flexible and open to existing city plot. This project seeks to utilize abandoned air-right spaces as new possibilities for affordable housing. Since each building categorized by zones has every different restriction in terms of FAR, 'Instant City' respects divers contexts of the existing neighborhood in Manhattan. 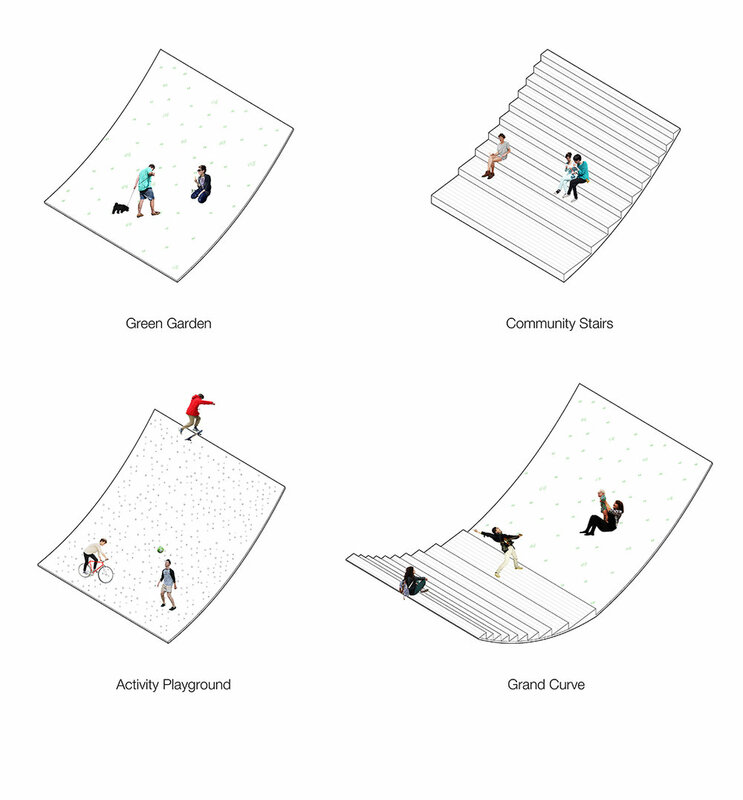 'Instant City' also offers a new type of community platform called 'Living Surface'. By differentiating sizes and materials of the platform, the surfaces serve a lot of community-based functions to encourage the interaction between residents and to let people share their culture together.